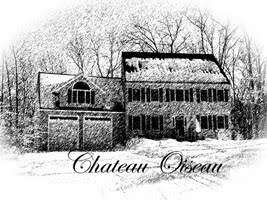 Chateau Oiseau: Spring is here finally! 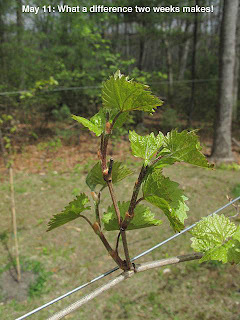 The past two weeks have seen the re-awakening of the vineyard! 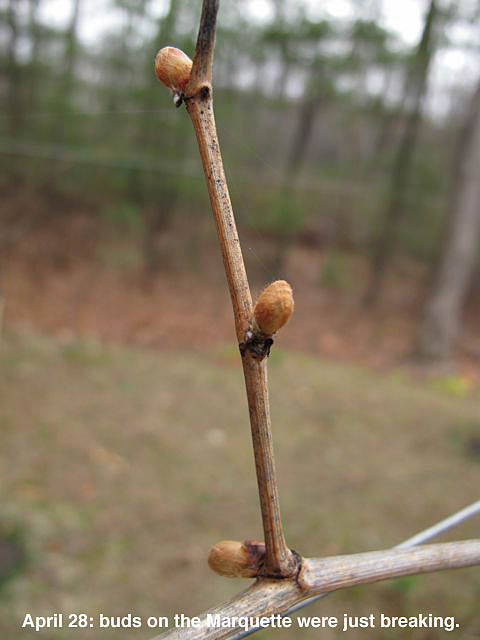 On April 28 (see picture) the Marquette vines were just starting to break buds. 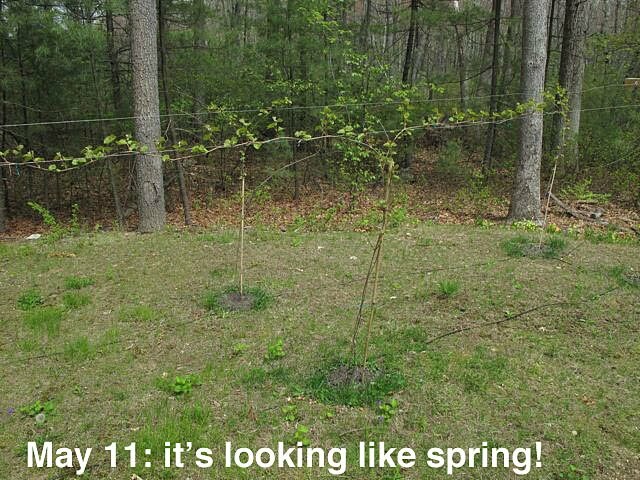 Today, 2 weeks later, we have lots of leaves and even a few inches of growth on many shoots! I doubt I will get grapes this year. The vines are still too small. 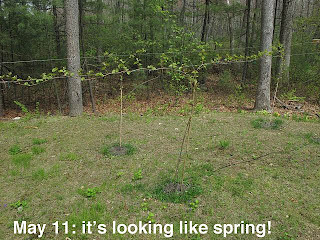 My Clos Oiseau vineyard in the side yard is entering the third year, but since the first year I didn't use grow tubes, they are only modestly larger than the 2 year old vines on the other side of the yard that did use grow tubes. For all practical purposes, the Marquette is all 2 years old. 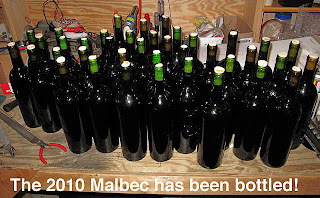 Last night, with the knowledge that the Chilean grapes are coming in the next week or two, I decided to bottle the 2010 Chilean Malbec to clear out some carboys. 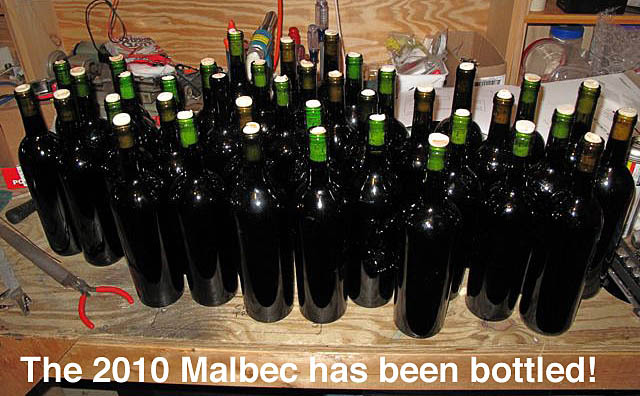 So now I have 40 bottles of truly not-that-great Malbec awaiting labels. I considered not even bottling it, but I needed the practice with the corker. Also I have a ton of bottles, and corks that will go bad if I don't use them. So what the heck. I'll give the stuff a couple years and see if it improves. If nothing else, it makes a good picture.